We want to thank you for your business this past year. We wish you much success, happiness and prosperity in the new year. We hope to serve you again in 2019. 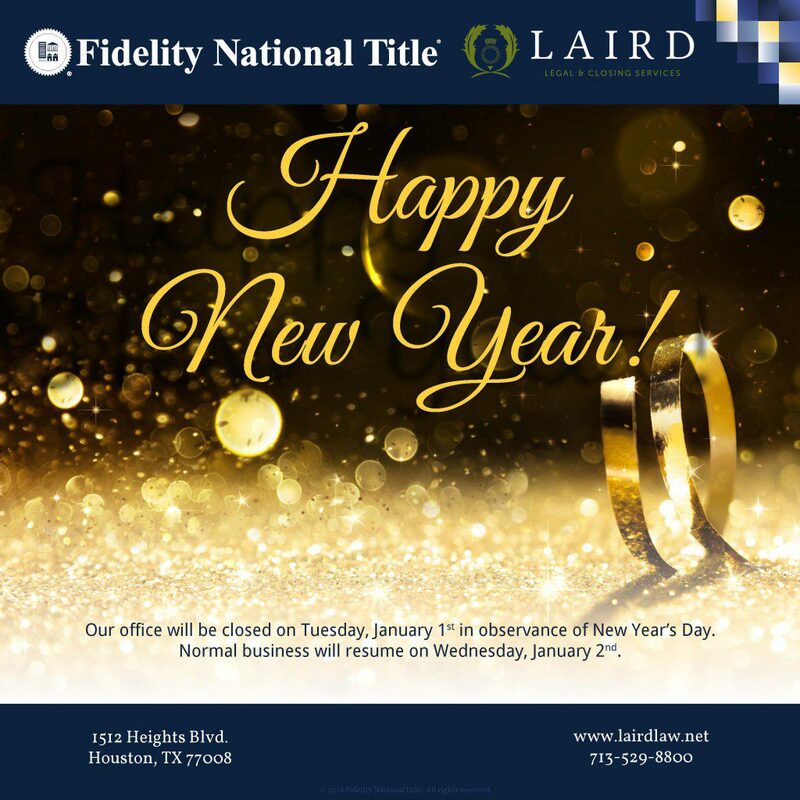 Our office will be closed on Tuesday, January 1st in observance of New Year’s Day.